Qualifications: 25 years dedicated experience in clinical nursing and academia. My background includes Academia, Acute Care, Primary Care, Hematology/Oncology, Gastrointestinal, Liver Diseases, HIV and Emergency nursing. I am a self-motivated professional, with strong communication and leadership skills and a firm commitment to the provision of quality of care. My greatest passion in life is teaching. I was fortunate to experience great success in high school and at university due to amazing and unforgettable teachers. My success is the foundation of my commitment to helping out others students, whatever their abilities may be. I am an experienced RN/NP in specialties like the Emergency room, Oncology, and Telemetry. I have been tutoring nursing students and graduate nurses for eight years– tutoring small groups and individual private tutoring. I charge $60 per session, and a session is usually 2 hours. I block my tutoring in sessions since nursing is so complex it is often best to finish a topic once you have started it. My students have success on the NCLEX exam. Nine out of ten students pass the exam on their first try. My graduate and undergraduate students increased their exam grades by > 30%. I use many different methods to teach and will work with you to meet your real potential. Rate details: Group rate of 2 or more student is $35/hr per person. My maximum number of students in a group is 5. My sessions are usually 2 hours minimum for groups. I teach pharmacology at the undergraduate and at the graduate level. 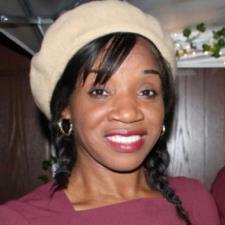 I am a nurse practitioner with over 15 years experience. I can help you reach your goal. My only regret was that I didn't contact her earlier. She is just what I needed, a tutor to break down complex information into simpler terms. After one session, I was able to make the information into my own as I prepared for my exam.